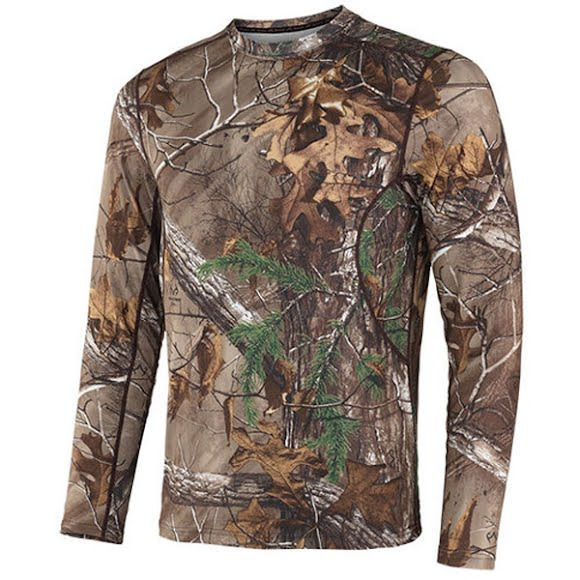 Stay hidden warm and hidden on your next hunting trip with help from the men's Avenger Performance Long-Sleeve T-Shirt from Terramar. This moisture wicking short provides UPF 25 sun protectuon as well as having flatlock seams for smoother fit. Stay hidden warm and hidden on your next hunting trip with help from the men&apos;s Avenger Performance Long-Sleeve T-Shirt from Terramar . This moisture wicking short provides UPF 25 sun protectuon as well as having flatlock seams for smoother fit.